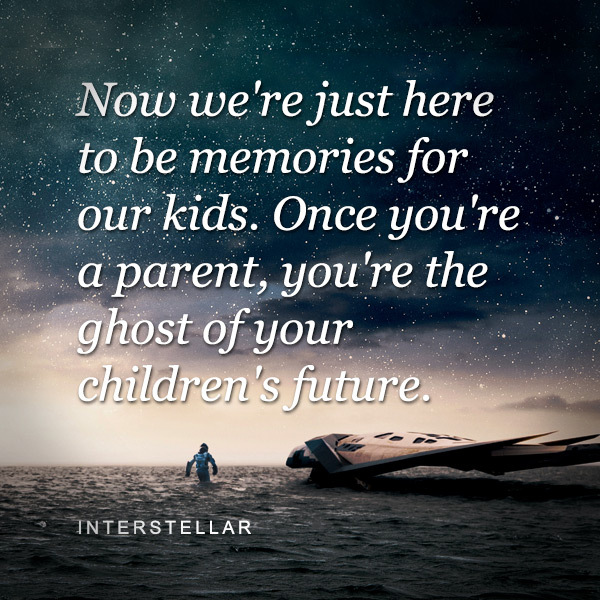 Just finished watching Interstellar (great film by the way) and this quote really jumped out at me, probably because I’ve recently become a father. Now we’re just here to be memories for our kids. Once you’re a parent, you’re the ghost of your children’s future. It’s a pretty dark quote but I thought this was a powerful and quite a true message.